Kansas legislators adjourned Friday for a three-week break, but they'll face several large issues when they return May 1. Kansas legislators hit adjournment Friday with some big tasks left for their wrap-up session that starts May 1. 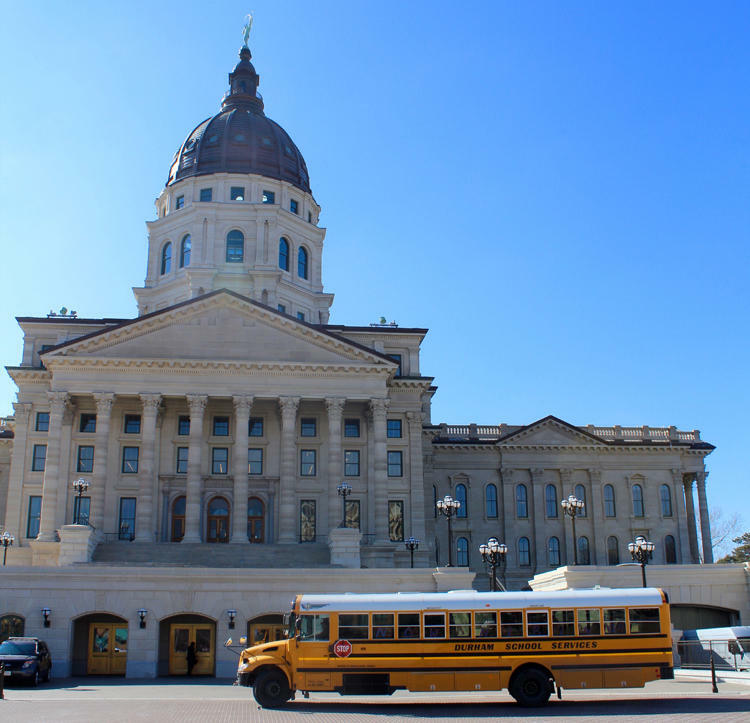 At the top of the list is a tax and budget plan, which largely will be influenced by the amount of school funding that legislators decide to add in light of the Kansas Supreme Court’s ruling last month. In the health policy arena, Medicaid expansion supporters are regrouping after the governor’s veto — and holding out hope for another shot this session. Here’s a look at what legislators have accomplished and what remains to be done during the 2017 session regarding budget, education and health issues. Coming To A Budget Compromise? Lawmakers have made progress on balancing the current budget for the fiscal year that ends in June, but solutions for the coming years have eluded them. Revenue shortfalls are projected to total around $1 billion over the next two budget years. 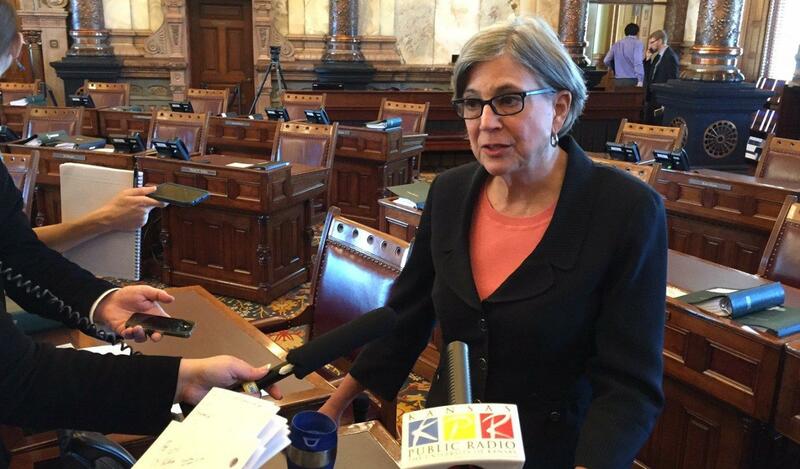 Republican Senate President Susan Wagle said the slow progress is to be expected. “Coming to a compromise, an agreement on a tax package is probably the most difficult thing any state Legislature would have to do,” she said. Senate President Susan Wagle said Friday that agreeing on a tax package is "the most difficult thing" for legislators to do. In February the House and Senate did advance a tax increase, but Gov. 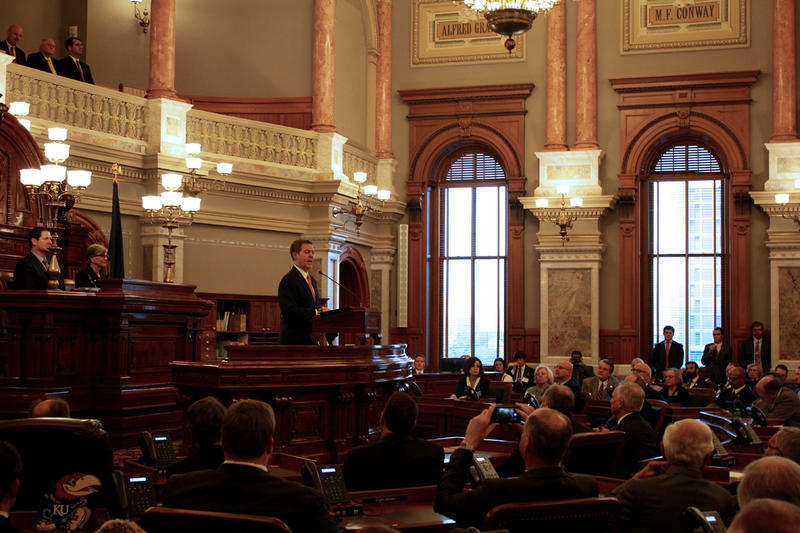 Sam Brownback vetoed the plan and lawmakers didn’t have the votes to override. Sen. Laura Kelly, a Topeka Democrat, said legislators may consider a modified version of that plan. This week Brownback made an unexpected announcement that he was endorsing a “flat tax” plan from a Senate committee. It would have eliminated the current 2.7 and 4.6 percent income tax brackets and imposed a 4.6 percent tax rate on all Kansans. That bill failed by a wide margin in the Senate, 37-3, and gave legislators a bit of insight, Kelly said. “We have found out what won’t work. I guess that’s progress,” she said. On Friday, Brownback called the budget work done so far a “good opening discussion” but said more negotiations are likely. “When you’re dealing with tax policy, you’ll go through 100 iterations to come up with something that can get through the entire process,” Brownback said. That process may make for long days when legislators return to Topeka for the wrap-up session. Rep. Melissa Rooker said they’ve been told to plan to work for two weeks straight, including through the weekend, to find tax and budget solutions. “Which is fine, it’s appropriate to get the people’s business done, but it’s a lot of heavy lifting to pack into a very compressed time frame,” said Rooker, a Fairway Republican. Both chambers have made some progress on budget plans for the coming two years. They largely avoid spending cuts and include some small, targeted spending increases. But both budgets would require hundreds of millions of dollars in new revenue to balance. Sen. Dennis Pyle, a Hiawatha Republican, is among the lawmakers who want to consider spending cuts before tax increases. “People in here generally like to spend money — especially other people’s money,” Pyle said. The top budget writer in the Senate, Republican Carolyn McGinn of Sedgwick, said last month that she’s prepared to make spending cuts. Budget negotiations have been complicated by the need to develop a new school funding formula, as spending on K-12 public education takes up about half of the $6 billion state general fund. The optimism about education funding in Kansas really started in last year’s elections when moderate Republicans and Democrats unseated conservative legislators. Many of the new lawmakers had education backgrounds, from PTA members to a former superintendent, and made school funding a priority in their campaigns. 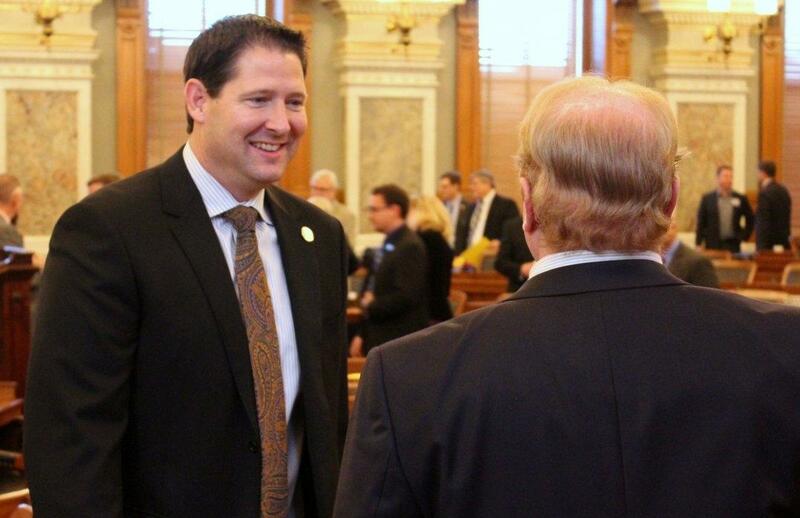 Acknowledging that writing a new school funding formula would be a priority — and a complicated process — House Speaker Ron Ryckman of Olathe created a special panel, the House K-12 Budget Committee. A number of school funding plans emerged early in the session. One was authored by Rooker with lots of input from other moderates and some Democrats. Conservative plans included one by Rep. Scott Schwab of Olathe and a leftover plan from last year written by Rep. Ron Highland, former chair of the education committee, and Steve Abrams, who withdrew from the race before the 2016 election. Another plan came from the former president of the Kansas Chamber of Commerce. During the first few weeks of the session, the committee discussed all of those plans. Then, talks slowed. Superintendents did have some concerns when lawmakers talked about cutting current education aid to help balance the budget or forcing schools to dip into their reserves in future years, but nothing came of that. House Speaker Ron Ryckman formed a special committee to come up with a new school funding formula this session. Looming over all of this, of course, was the pending Kansas Supreme Court ruling in the Gannon school funding case. Finally, on March 2 the court ruled that Kansas school funding was unconstitutionally inadequate. Estimates on how to fix that ranged from $500 million to $800 million. The first plan from legislative leaders upped spending by just $75 million. Democrats scoffed at that number and, despite some arm-twisting by leadership, most Republicans dismissed it as too little. During a marathon hearing on March 30, the K-12 committee increased that one-time infusion of $75 million to a five-year total of $750 million in new spending. Rep. Ed Trimmer from Winfield, the ranking Democrat on the committee, said that’s the minimum the Legislature needs to add for public schools. “Otherwise we’ll be back here doing this same thing again after the court tells us that’s not enough money,” he said. Educators are excited about some elements of the bill: state funding for all-day kindergarten if districts choose to offer it, $10 million more over five years for at-risk early childhood development and about $2 million for teacher mentoring and professional development. However, the committee did not pass out the bill. Campbell wanted to hire a constitutional lawyer to review the measure and ensure sure it will pass muster with the state Supreme Court before sending it to the House and Senate. Former state Senator Jeff King, who'd initially been rejected as too political, got the job as the committee's counsel Friday a few hours after the Legislature adjourned for the break. Once the bill hits the House and Senate floors, many questions remain. How will legislators come up with millions more in education funding when the state faces a large budget hole? Will moderate Republicans in the House be able to add more funding? Will $750 million survive in the Senate? And then there’s the most important question: what will the Kansas Supreme Court think? Expanding eligibility for KanCare, the state’s privately run Medicaid program, dominated health policy debates this session. After three years of attempts to get a Medicaid expansion bill beyond committee, the House and Senate debated and passed the bill. But they were unable to get enough votes to override Brownback’s veto. In his veto message, the governor said the bill prioritized “able-bodied” people over those who have disabilities. Sheldon Weisgrau, director of the Health Reform Resource Project, said KanCare expansion advocates aren’t conceding defeat this session. But if the Legislature doesn’t take it up again this year, Weisgrau said advocates will keep pushing expansion as a way to help more Kansans access health care and to assist rural hospitals. Rep. Susan Concannon, left, is unsure of the prospects for Medicaid expansion when the Legislature returns for its wrap-up session. Rep. Susan Concannon, a Beloit Republican who was one of the strongest legislative voices in favor of expansion, was less sure about its prospects this session. Some House members have said they are open to reconsidering the issue, but she said it would be difficult to get another bill passed in the time remaining. Another health policy priority for Democrats and some moderates also may have fallen short. State hospitals, mental health centers, college campuses and the University of Kansas Hospital had sought an exemption from a state law that requires them to either allow visitors to carry concealed handguns or to hire security and install metal detectors. Several bills exempting one or more of those facilities failed to advance, though a bill that would exempt only state hospitals is alive in the House. 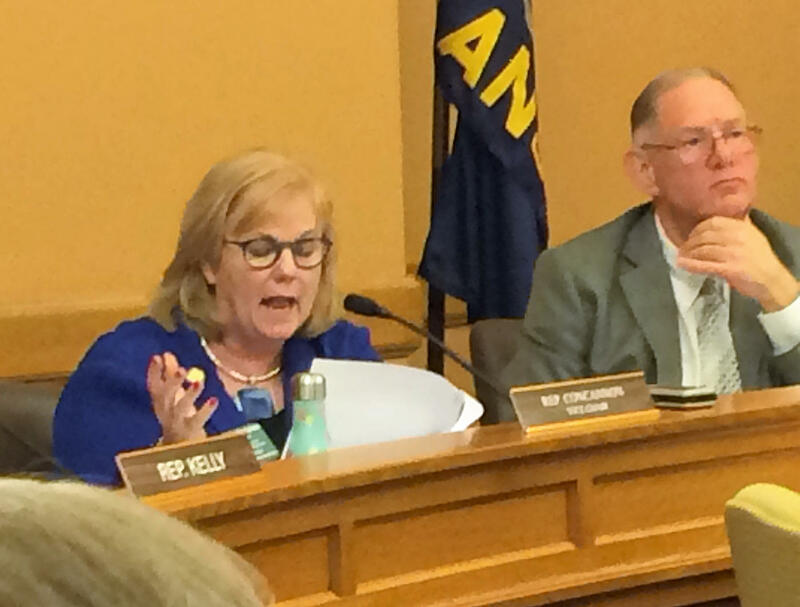 Tim Keck, secretary of the Kansas Department for Aging and Disability Services, said during a legislative hearing that bringing guns into a psychiatric hospital could endanger patients and employees. “It’s not a safe environment to have weapons available,” he said. 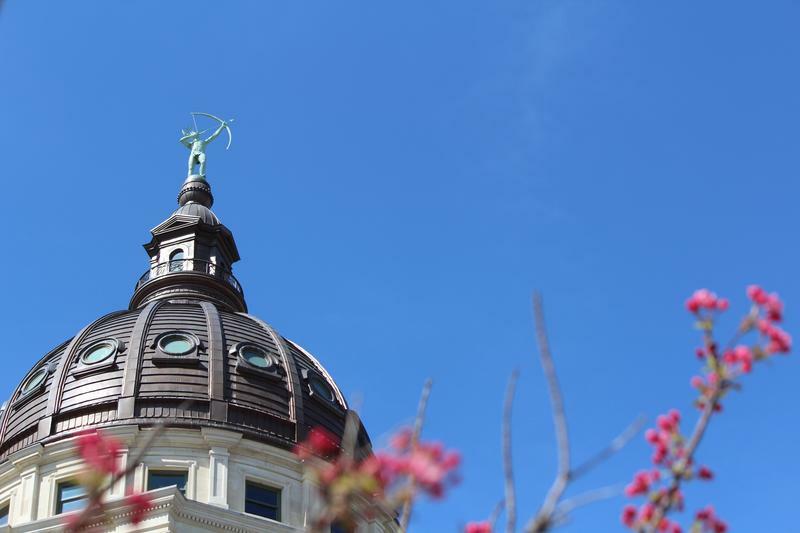 Early in the session, committees discussed how they could invest more in the mental health system and restore some funding cut from Medicaid reimbursements last year. Legislative leaders cautioned that state general fund dollars would be scarce as they tried to fill the budget hole and come up with a school funding plan that would satisfy the courts, so lawmakers have turned to other sources for health programs. They looked to increase the privilege fees that health maintenance organizations pay to sell insurance plans as a way to restore a 4 percent cut to for Medicaid reimbursements. A bill that passed the House on Thursday would raise the privilege fee paid on revenue from insurance premiums from 3.31 percent to 5.77 percent. The funds would go first to reversing the reimbursement cuts, with any additional money going to an “improvement fund” for community mental health centers. 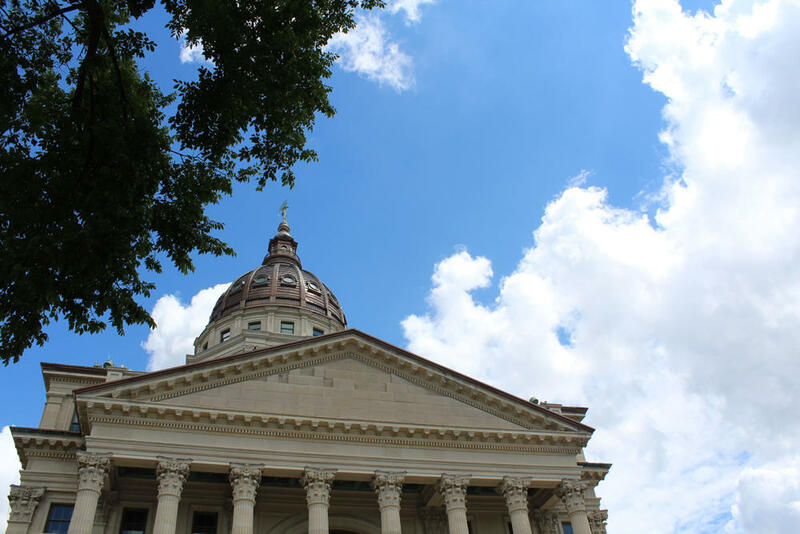 Cindy Samuelson, spokeswoman for the Kansas Hospital Association, said the group was pleased to see the Legislature come up with a way to restore some of the Medicaid funds. The bill raising the privilege fee would have to go conference committee because the Senate passed a different version, but Samuelson said medical providers are hopeful it will get through the process. Kyle Kessler, executive director of the Association of Community Mental Health Centers of Kansas, said the improvement fund would help replace about $20 million in state funding that the centers have lost since 2007. The state funds help offset the cost of caring for uninsured patients, he said. Lawmakers have shown an interest in mental health this year, and particularly in how limited admissions at Osawatomie State Hospital have forced emergency rooms and mental health centers to keep patients safe while they wait for a bed, Kessler said. “We feel good about how they are listening to community mental health centers back in their home communities,” he said. This story was produced by Stephen Koranda, Meg Wingerter and Sam Zeff of the Kansas News Service, a collaboration of KCUR, Kansas Public Radio and KMUW covering health, education and politics. Kansas News Service stories and photos may be republished at no cost with proper attribution and a link back to kcur.org. Editor's note: An earlier version of this story had incorrect information about former state Sen. Steve Abrams and the 2016 election.